We are counting down to World Water Day on March 22 and the official kick-off to the 17th season of the EarthEcho Water Challenge. With the world’s focus on water, this global event is the perfect time to take action in your community. As a Water Challenge participant, you will join over 1.5 million citizen scientists from 143 countries who have taken action to monitor their water quality, shared their data, and worked to protect their local water resources. World Water Day is the perfect time to bring together a group of your family, friends, classmates or co-workers to monitor water quality in your local community. Order an EarthEcho Water Challenge test kit, pick a local body of water, and bring your community together to connect to and monitor your local water resources. Remember to share your data in the EarthEcho Water Challenge database to contribute to our understanding of water resources worldwide. Throughout World Water Day we will share photos and live updates on Facebook, Instagram, and Twitter highlighting the work of our EarthEcho Water Challenge participants around the world. We invite you to join in this conversation, sharing your work monitoring water and taking action to protect water resources on social media using the hashtag #MonitorWater. We also encourage you to share the stories of your local bodies of water, the challenges they face, and actions you and your community members are taking to protect these critical resources. Finally, consider working with your local government to pass a proclamation highlighting your actions for World Water Day and participation in the EarthEcho Water Challenge. As you connect to and monitor the quality of your local water resources, World Water Day is a perfect time to commit to taking year round action to improve water quality in your local community. 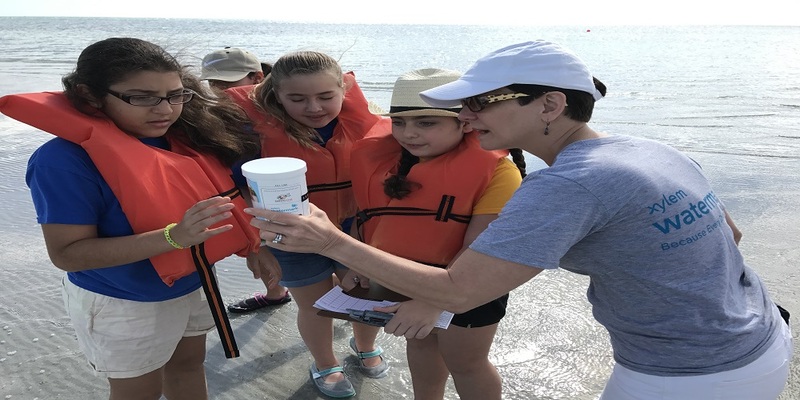 Organize a beach or river cleanup, educate members of your community about water quality, plant trees and native plants to prevent erosion, or implement changes in your school or work place to save water. The options are endless and through the EarthEcho Water Challenge a variety of tools are at your disposal to help you take action. Stay tuned for additional updates on our EarthEcho Water Challenge kick-off plans for World Water Day as we roll out an exciting series of events and resources to help communities solve the global water crisis. We look forward to your participation!